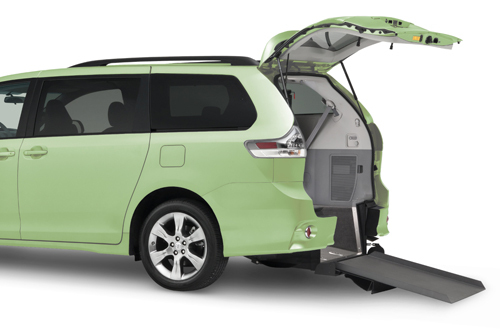 Green outer-borough vehicles are wheelchair-accessible and offer door-to-door services. The Green Boro Taxi Model presents a practical solution to an untapped market in New York City. It addresses the needs of millions of New Yorkers who live and work outside the borough of Manhattan; where for-hail taxis are extremely scarce and many residents do not own a personal vehicle. Evidence of the program’s viability lies in the fact that there is still signiﬁcant unmet demand, even with all initial permits being sold out. NuRide provides Non-Emergency Medical Transportation (NEMT) and paratransit services through a number of divisions, using green outer-boro taxis. The Americans with Disabilities Act (ADA) has created system by which those with disabilities and the elderly have ready access to services such as this, and NuRide TG proudly provides customers with exemplary service in safe, reliable vehicles. NEMT is an important Medicaid beneﬁt for those who need to travel to and from medical services, but who have no means of transportation. States are required by the Code of Federal Regulations to ensure that eligible, qualiﬁed Medicaid beneﬁciaries have NEMT to transport them to and from their health care providers. Paratransit, on the other hand, is a “demand-response” service that provides eligible customers to make advanced reservations for transportation within a service area covered by public buses and subways. The Americans with Disabilities Act (ADA) requires that individuals with disabilities who are unable to use accessible mass transit for some or all of their trips must be provided via paratransit. The law’s provisions were not limited to programs receiving federal funds, but now apply to all public transit services, regardless of how the services are funded or managed. 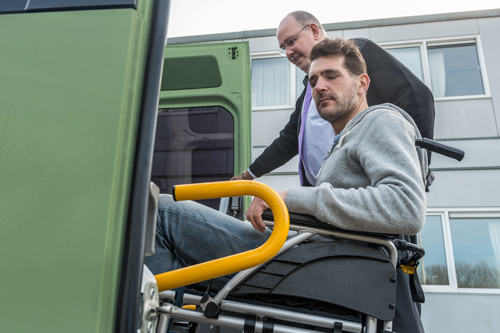 Title II of ADA also more clearly deﬁnes the right of individuals in the disability community to equal participation in transit programs, as well as the responsibility of the provider to make that participation possible.